I’ve actually ordered from Ken The Bug Guy several times over the past year, and all of my experiences have been positive. Ken always has a wonderful and varied selection of animals, and he is quite well-respected in the business, so it’s a no-brainer to order when I see something I like. This review is of my most recent purchase made on November 28th. With several of the dealers offering great savings through Black Friday/Cyber Monday sales, I spent a couple days of cross-referencing my wish list with the stock each vendor carries to determine who I should buy from. After much deliberation, I decided that Ken carried the most species I was currently looking to acquire, and the 30% off sale he was running made the prices ridiculously reasonable. The website does not always accurately reflect stock. Now, I’ve ordered from Ken’s four times now, and this is not in any way meant to be a knock, but it’s something that anyone looking to order from his site needs to be aware of. Ken does a lot of business, whether it be through trades, shows, or his website, and sometimes animals listed on his site are not in stock when you try to place your order. On three separate occasions, I’ve placed an order and received an email saying that something I wanted was no longer available. When this occurs, Ken will immediately offer a full or partial refund your or allow you to make a substitution. Other times, he will offer a size upgrade that more than makes up for the inconvenience. When I place an order now, I shoot him an email at the same time and ask him to just let me know if something is out of stock so I can substitute. As always, great communication and fast shipping. With a huge sale going on, I anticipated that this would be the case with my most recent order. 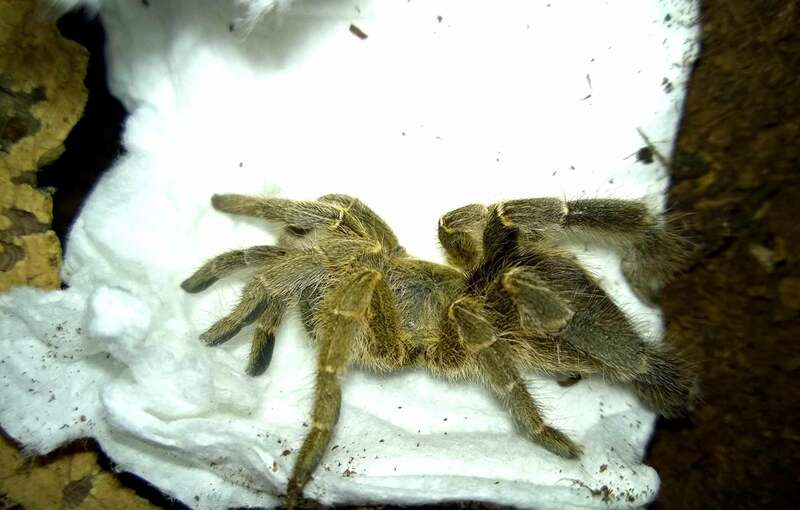 Although two of the tarantulas I ordered weren’t in stock, the ones he offered to substitute for them were worth far more than the originals. Suffice it to say, I was left very happy with the final transaction. As usual, Ken’s communication is always excellent, and he responds to all emails promptly and politely. He communicated with me repeatedly throughout the transaction, and answered all of my emails within hours of me sending them. With the amount of business he was doing during this sale, I anticipated that there might be a delay shipping my package. I was delighted when I got the shipping notification from FedEx on Sunday saying my package would be arriving on Tuesday. My package was available for pick up at my local FedEx on time and as expected. Excellent packing and very healthy spiders. Okay, so for anyone who usually reads my reviews, you know that I like to take pictures of the unpacking. Well, full disclosure: I was so focused on unpacking and rehousing six fast, venomous Ts, that I completely forgot to break out the camera. Whoops! I can tell you that the box was expertly packed with a foam lining and moistened newspaper as cushioning. He also included three heat packs, as temps in my area were hovering around freezing, and the animals were safe and warm when I opened the box. 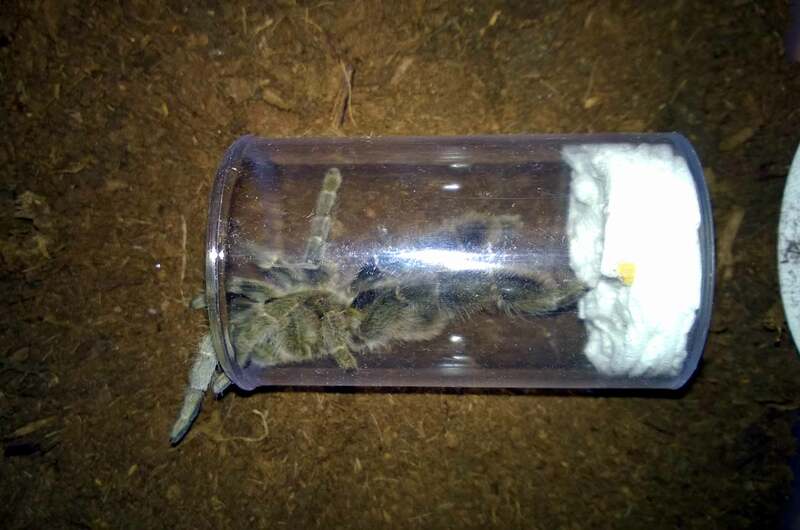 Now, I mentioned it in an earlier review, but it bears repeating: well-packed tarantulas make the rehousing process so much easier and less stressful. Each specimen was packed in a plastic dram bottle lined with rolled paper towel. To get them out, I needed only to pull the paper towel plug blocking the opening, then use tongs to slide the paper towel tube out. 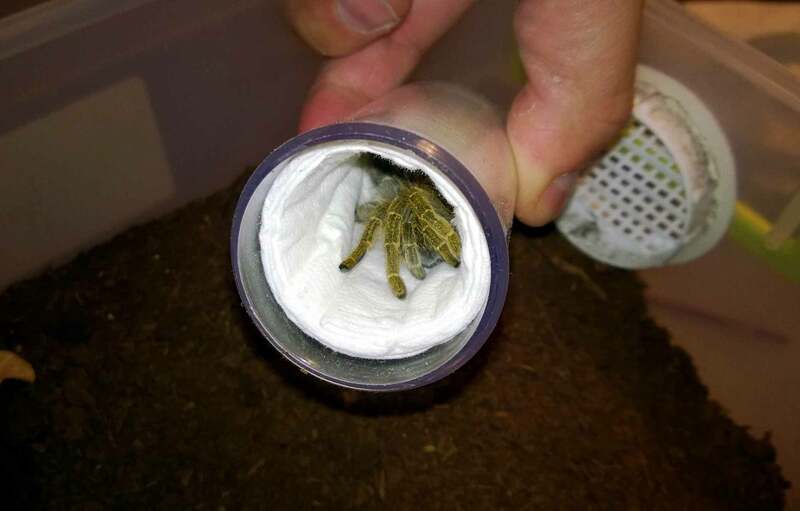 I could then either just use a paintbrush to gently prod the T out, or I could unroll the towel tube to free the animal (in one case, I left the animal in the towel tube in the new enclosure so the T could come out on its own). Very simple! My new E. pachypus in the bottle with the paper towel lining removed. All of my new animals were in great shape and, in many cases, larger than I had expected. Even better, all six of them ate their first meals within 24 hours of being unpacked (the three Poecilotheria species I got ate the same night). It has been about a week since the package arrived, and they have continued to eat and adapt to their new homes. For those looking for a great variety of tarantula species, expert packing, quick shipping, and excellent communication, make sure to give Ken the Bug Guy a try! Check out Ken’s selection HERE!